This book provides everything you need to know to be ready for this upcoming "2012" transition. There will be a "Magic Day" in the very near future. The universe's alignment was 95% in March, 95% in April, 96% in May, 97% in June 2016, and 99% now. The energy to this planet is increasing daily, and that is why people are waking up. However, A HUGE increase in energy will happen on The Magic Day, and many will not make it to the 5th dimension. Learn how you can change that. 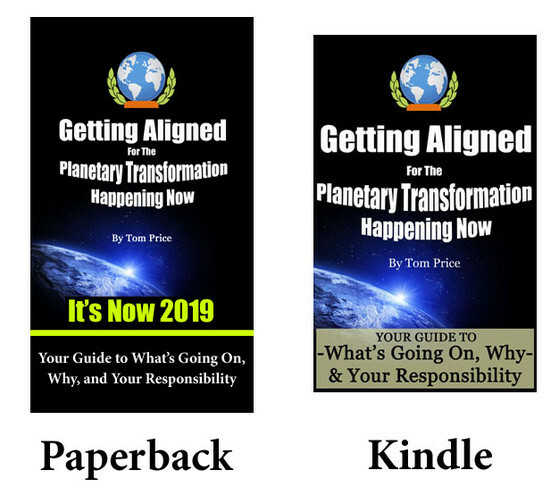 The book provides the relevant background information as to what "2012" is all about, and what you need to do to Get Aligned for it. This includes the relevant history of the Cosmos and Earth, and what happened to us (via the bad-guys) that made us forget our Cosmic roots and abilities. It explains who Jesus really is, and how he and John the Baptist were trained to help us with this situation. All of this is presented through the safe, non-confrontational lens of Sacred Geometry. Finally, it explains The Magic Day, and what you need to do to prepare for it - - all of which is inside your body. If you are ready on that Magic Day, you will stay on Earth and realize the incredible place it will become (once again). The Light Alliance is doing everything it can now to help reduce your fear, so that you can be more accepting of this type of information - - so that you can make it through OK. The last time this happened (the prior 2012 event), millions died of fear and confusion. The goal of the Light Alliance, and the goal of this book, are to help you be successful. Please be aware that there is no Cinderella complex about this. Each person is on their own, and must use their own free will to get through this transition.